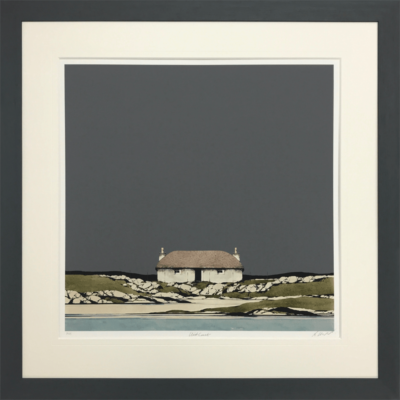 Ron Lawson is back with what is sure to be another sell out series of prints. Seven stunning signed limited edition images are available to buy now. 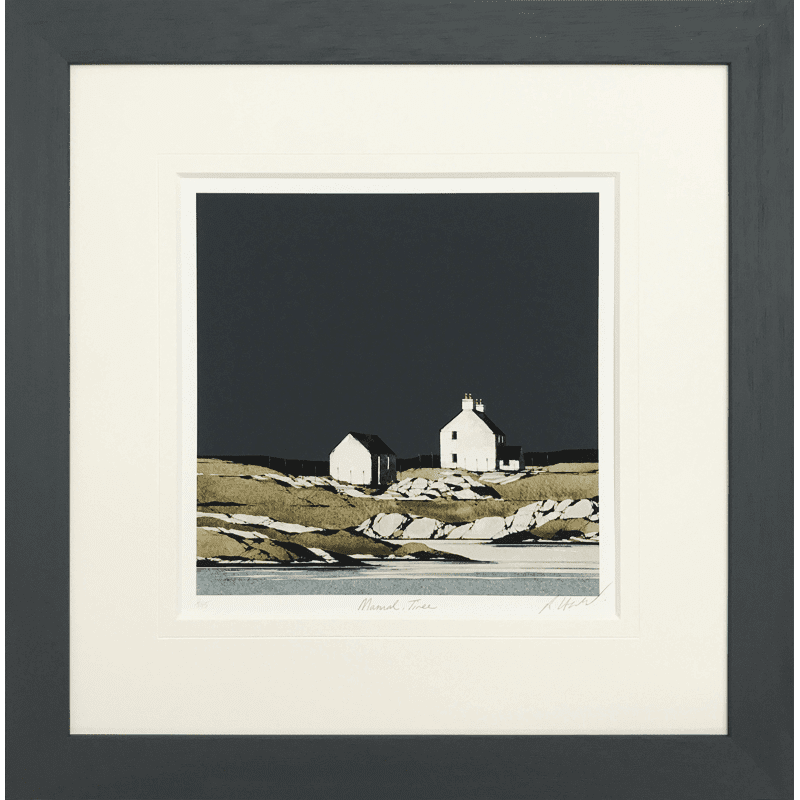 We also have stock of what are now rare Ron Lawson prints. Ron spent his early years enjoying the open spaces of the Scottish countryside. On leaving school at 16 Ron started work in the art studio of DC Thomson in Dundee. It was here, while working alongside many talented artists, that Ron was encouraged to develop his watercolour skills. After 35 years Ron left the publishing firm to devote more time to painting and embark on a career as a full time artist. Mixing a lifelong love of cycling with a desire to capture the beauty of the Highlands and Islands of Scotland. Ron now explores these areas by bicycle with his sketchpad and paints. 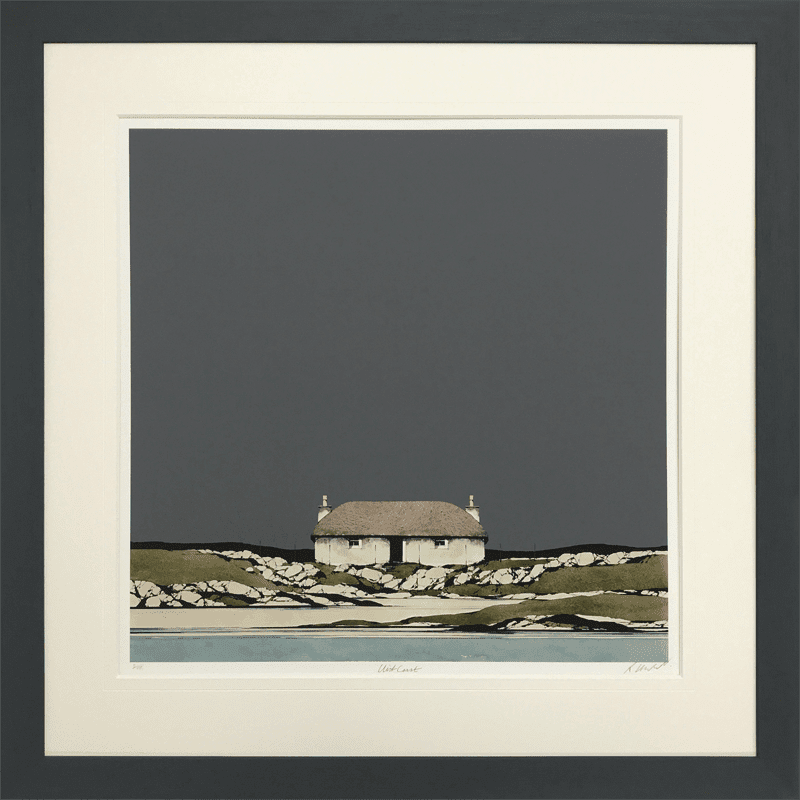 By contrasting vast, intense, brooding skies with his signature white crofter’s cottages in the foreground Ron’s paintings celebrate the wild remoteness, peace and simplicity of rural Scotland.